At Fine Art Bartending, each instructor we have knows exactly what students need to get started as a bartender. 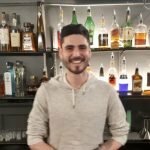 We have the most seasoned team teaching Vancouver’s best bartending course. 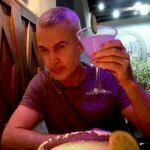 You can expect to get tips on working in nightclubs, cocktail bars, private events, and even hockey games. Check out all our staff profiles below. Al got started bartending while studying Anthropology and Economics at UBC. Originally from Ontario, Al wanted to break into bartending so he took a course just like this. In just a few weeks he began slinging drinks at the well renowned Pit Pub and Gallery 2.0 Lounge. After going from busser to manager in just a couple years, Al moved on to making drinks at the Shark Club for the crowds needing a drink before and after events at Rogers Arena and BC Place. Most recently, he was working the bar at Tap Shack in Coal Harbour while working on his WSET certification. Al has a passion for wine, and a knowledge of how to pump out drinks in quantity. 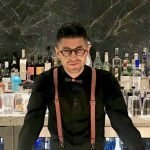 Bartending is also about quality, and personality and over the course of a couple weeks he will be sure to step you through his adventures behind the bar. Matthew has a passion for the fundamentals of cocktails. Originally starting his working career in sales and management, Matthew found his skills are better suited to mixing drinks. After moving to Vancouver, he started his cocktailing career at the convention centre. After a stint doing event bartending, Matthew headed out to UBC to mix up drinks for the university crowd at the Pit Pub and Gallery 2.0 (yes, he worked with Al). The university pub crowd was exciting, but Matthew moved on to fine dining at West on Granville. Here he was able to explore the intricacies of cocktail creation for a high-end crowd. A short stint at Glowbal followed that, with many stories. His most recent bartending gig was just down the street at Darby’s. Matthew has seen a ton of different work environments, knows his whiskies and has a wealth of information to share… plus some easy resume and job hunting tips. Kam started bartending when he was attending UBC. When working on his masters degree in engineering, he picked up a few regular shifts pouring beers for grad students at Koerner’s Pub. It wasn’t until he was done with his degree that he decided to do the bartending course with us at Fine Art to expand his cocktail knowledge. Kam continues to practice engineering throughout the week. Bartending is a hobby for him, and he has spent evenings and weekends making cocktails. He has been spotted behind the bar at Canadian Brewhouse and Grill in Richmond and more recently at Ancora Fine Dining in West Vancouver. Recently he had Justin Timberlake and Jessica Biel pull up a seat at his bar for a Negroni! Chris graduated from Vancouver Fine Art Bartending back in 1998. Bartending at university parties made him seek out a role behind the bar for both some extra cash and a parallel path to that engineering degree. Shortly after finishing the bartending classes, Chris started at a little Greek restaurant in Vancouver’s West Side, and after a couple years he moved on to the city’s best jazz club ‘The Cellar’. Doing a day job as an engineer, and night gig as a bartender soon caught up with him and he hung up his shaker set and bar rags to focus more on what he went to school for. Since those early days as a bartender, Chris has always dreamed of opening his own little beach bar somewhere in the world. Chris has been to Europe, Asia, South America, 48 of the 50 US states and has had a drink in each of these places. Not all those beverages were good, but each place does things a little differently and Chris is effectively a student of everything. He regularly travels in search of that perfect serene and sandy spot, but for now is content to enjoy Vancouver and all the great little happy hour spots around. Mike has been making drinks for more than 15 years now. He has spent time in the UK as well as around Calgary and Vancouver. Starting out as a sous chef, Mike moved to bartending and managing at an early age. He has spent time as a bar owner, which brings along a lot of stories. 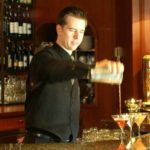 In addition, he has managed at places like Marquis on Granville Street, Sky 360 in Calgary Tower as well as just bartending at a few smaller pubs in and around Vancouver. He has been very diligent in keeping up his flair skills over that time too and now puts those flashy moves on display in our 4-hour working flair bartending class. 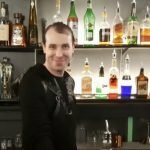 Mike can teach you a thing or two about some simple moves to boost your tips behind the bar, plus get into the more complex actions of bottle flipping for competition type flair. It is pretty amazing to see him in action, so be sure to add the working flair seminar to your list of classes to take at Fine Art. And if you think you might be perfect to join our team, we are always open to seeing a resume or two. Have a look at our Jobs page for a rundown on what we might be looking for in a bartending instructor.